©™2011-1016 Nelson County Life Magazine / Blue Ridge Life Magazine : Photos By Tommy Stafford : As seen in our photo taken on November 11, 2011 at 11:11AM Wild Wolf Brewing in Nellysford officially opened the doors five years ago. Then Wild Wolf Executive Chef Raphael Rogers (left with in white top & scissors) along with Josh Shoenberger, (then General Manager), cut the ribbon with WW Brewmaster Danny Wolf right as founders and owner Mary Wolf & Doug Wolf (upper left and & right) look on with Augusta and Nelson Chamber of Commerce reps on hand. 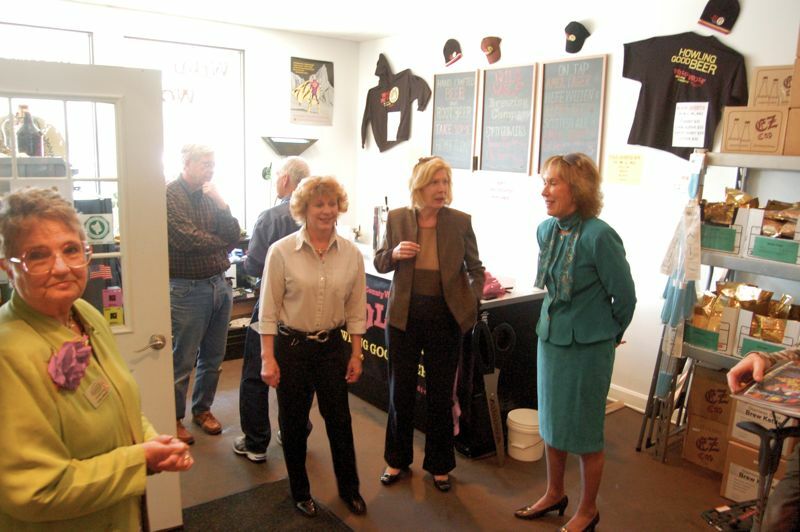 Hard to believe it was way back on 11.11.11 that the doors officially opened at Wild Wolf Brewing in Nellysford. On Friday November 11, 2016 the company celebrated it’s 5th anniversary. Long before the restaurant and brewery opened in it’s current location, they had a makeshift small brewery and offices located in the Valley Green Center. ©™2011-2016 Nelson County Life Magazine / Blue Ridge LIfe Magazine : Mary Wolf (center left) during the opening of their temporary location in May of 2011 as remodeling and construction was taking place on what’s now the brewery’s permanent home. Just a little over a year ago, Wild Wolf expanded even more when they opened their event center in July of 2015. Click here and here for a look back at the history of Wild Wolf and the building before WW ever bought it anf then turned it into the spectacular place it is today! Congrats on 5 great years WW and here’s to many more! Wild Wolf Brewing Cans It!